First lets talk about the type that has no real bearing on how production cars are developed. For instance Formula 1, many can argue new technologies that derive from the racing atmosphere make their way into normal cars, but honestly it's just a gimmick. But that's not to say F1 is bad, it's the epitome of automobile racing, every race car driver would love to compete in a F1 car. The engineering feats they've overcome to build these monstrous vehicles are amazing. Second is the type like the GT classes in Le Mans. 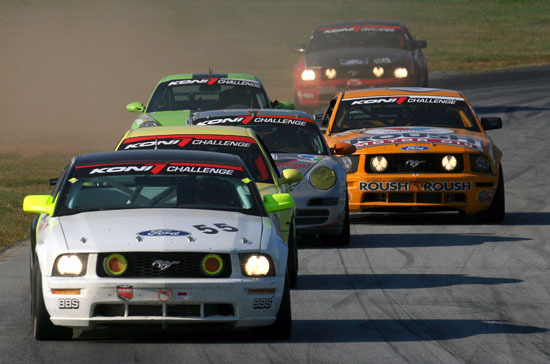 These classes have to conform to regulations that help ensure that the race car resembles the road going version. So you may say, well so what? They just race regular cars. And there is the misconception, what happens from year to year is that these cars get raced and data is collected and then the manufacturers make changes when its time to build the new version. For instance the Corvette C5.R, one of the most iconic race cars in the GT class, had its shares of design flaws that were corrected in road going Corvette C6. One of the changes was that front aerodynamics didn't allow for really good brake and engine cooling and due to regulations they're not allowed to change the design. So race car engineers worked with GM to make sure that problems like these wouldn't be there in the next version. Now here is where it gets even more interesting. Next year (2011) the rules for the GT2 class (one of the classes that the Corvettes race in) will be reducing the maximum size for the engines from 6.0L to 5.5L. The Corvette team is already using the new 5.5L to work out any kinks. 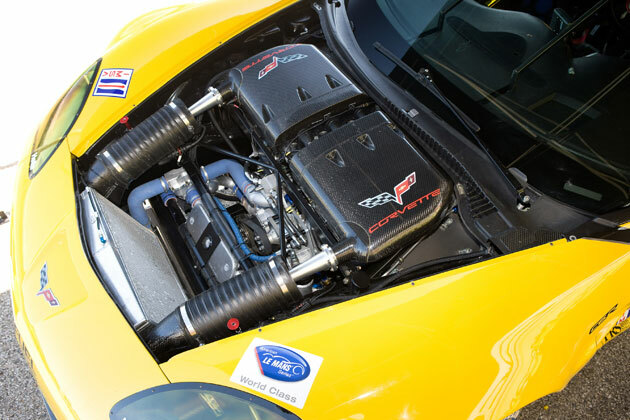 Many are speculating that when the new Corvette C7 comes around it'll have an engine similar to the GT2 Corvette. This is because CAFE regulations are becoming more strict and the Corvette will need to keep up it's great power to efficiency mark. So people think naturally this make sense that a road going version of the 5.5L will make it into the C7. And here are a few reasons why it's probably true. 2. Due to CAFE regulations the Corvette will need some new avenue to keep MPG up. 3. GM has been proud to use racing leagues like Le Mans as a means of marketing, especially when they tout that there are so many similarities between the road going Corvettes and the racing versions. The big problem is will it deliver the same punch as the current 6.2L? Many speculate that a road going 5.5L motor will have more power than the LS3 and be more efficient. This could be true since GM has put almost 1 billion dollars into developing the new line of small block V8s. But making over 430hp with 5.5L when the current 430hp motor is 6.2L sounds like a feat. This then begs the question, will the next gen Camaro have a 5.5L for the SS model? Maybe this is part of the "lightening" of the next gen Camaro as well. And we all know that whatever the base model Corvette gets will also be in the Camaro SS.